[toc]Sneezing and runny nose are interconnected and usually the latter is caused because of the former. Not only both of these health ailments are discomforting and hamper your daily activities but also lead to other symptoms like burning of the eyes and itching on the face. However, since both are somewhere associated with each other, the treatment is almost the same as well. Once you detect the crisis, the next is to look for some safe and simple home remedies that can give you effective and visible results.To save you the effort, the best home remedies are mentioned below. All you need to do is pick a combo of 2-3 and use it on a routine basis for the outcomes. Prepare a saline solution by mixing some salt in boiling water and then cooling it to the warm conditions. 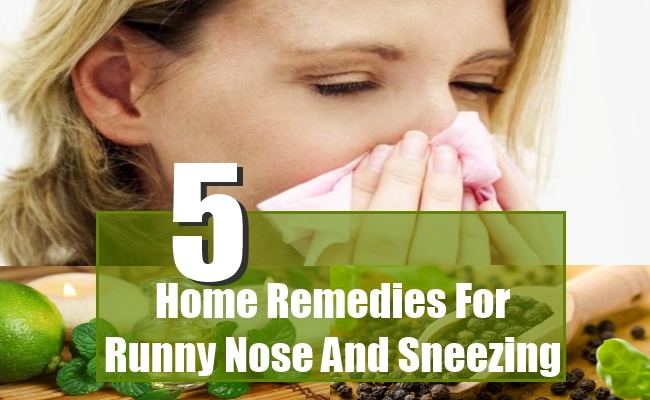 Make sure that the liquid is only slightly warm as you need to put it in the nasal passage. Half a teaspoon of salt in 8 ounces of water is the perfect solution. Take a nose dropper and put a few drops of this saline solution in both the openings while inhaling the liquid. This will not only open the passages well but also flush out the watery discharge in a good way. 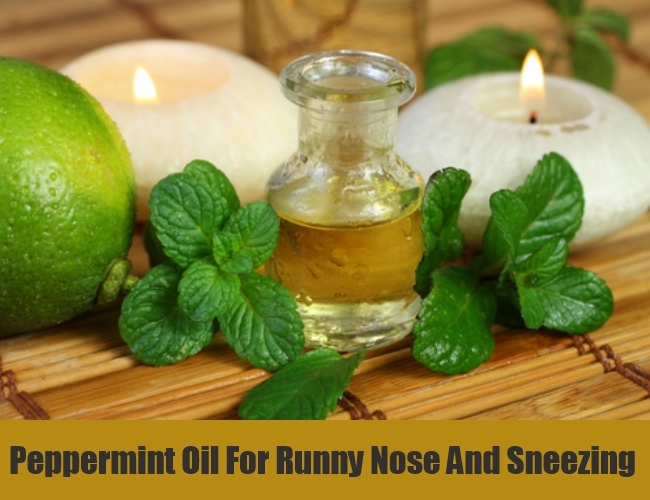 The antibacterial properties of peppermint oil are a perfect choice for sneezing. To get the benefits of this liquid for your running nose and sneezing, you need to add some drops of the same in a tub of hot water and then inhale the steam to open up the passage. Make sure you cover the head before doing so to get maximum benefits. For those who do not have peppermint oil, can easily use eucalyptus oil for the same purpose. 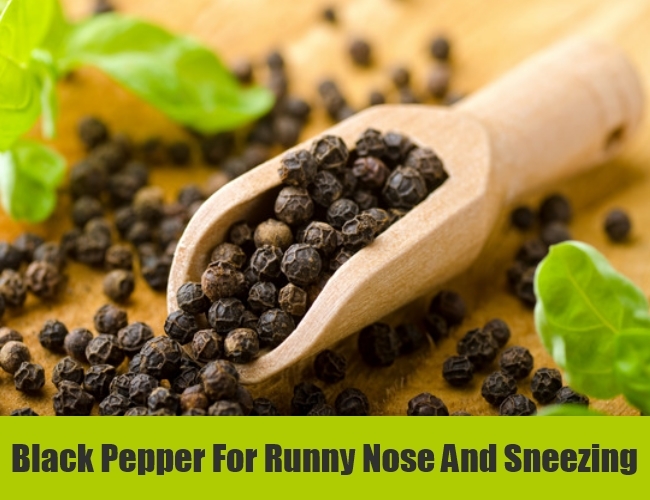 A simple home product that you can use for treatment of both running nose as well as sneezing is black pepper. Half a tablespoon of the powder should be added in a glass of lukewarm water and consumed 2-3 times in a day. This will definitely give you visible cure for the problem. Another way of using the method is to gargle with water that has a little black pepper in it. Make sure the water is warm. The powder can also be added to various dishes like soups and broths to get the advantage. 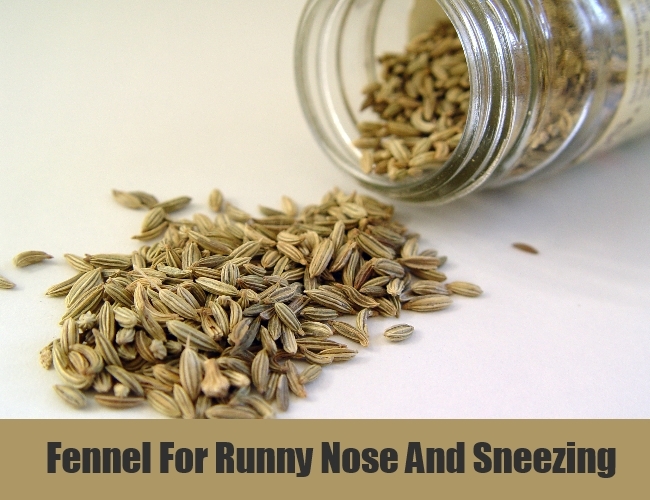 The anti viral and antibiotic functions of fennel makes it a perfect home product for use during runny nose and sneezing. Take a cup of boiling water and to this add some crushed seeds of fennel. This should be left for steeping for the next 15 minutes. This should be taken two times in a day to treat sneezing from the roots. Ginger can either be included in the dishes or chewed raw for extracting the benefits. 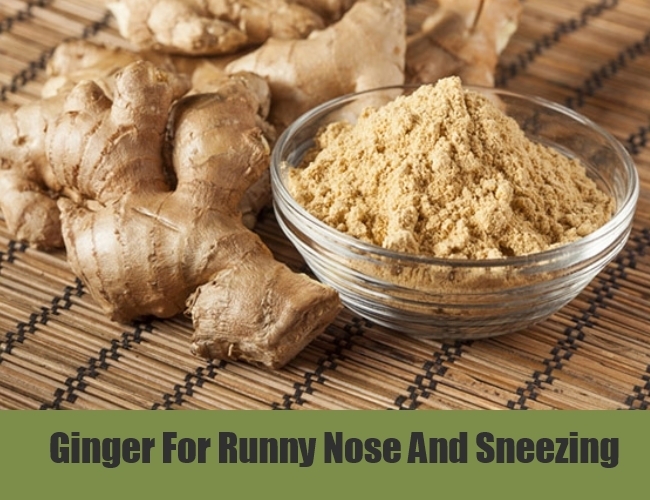 2-3 cups of freshly prepared ginger tea can also work wonders on the runny nose and sneezing. About 2 teaspoons of ginger root can also be consumed each day till the problem subsides. These will give you visible results in sometime.